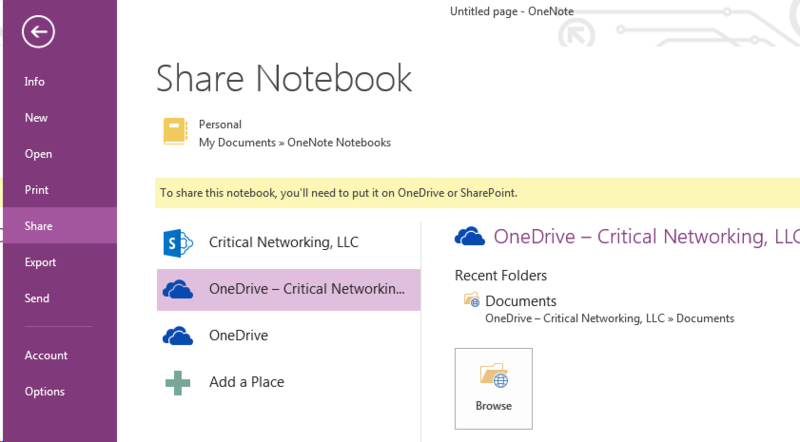 This post is about how to sync OneNote notes to the cloud with OneDrive and Office 365. Go to https://portal.office.com and log in to your O365 account. By default, OneNote notebooks are stored on the local computer and can be lost if the computer fails. Syncing to the cloud will allow you to recover the notebook if the local copy is lost. You can access your notes across multiple devices, including tablets and smartphones. Sharing your notebooks with other users is easy. You can work offline with the local cached copy, and your changes will sync to the cloud the next time you connect to the internet. This also means that you are able to access your notes even if you don’t have an active internet connection. 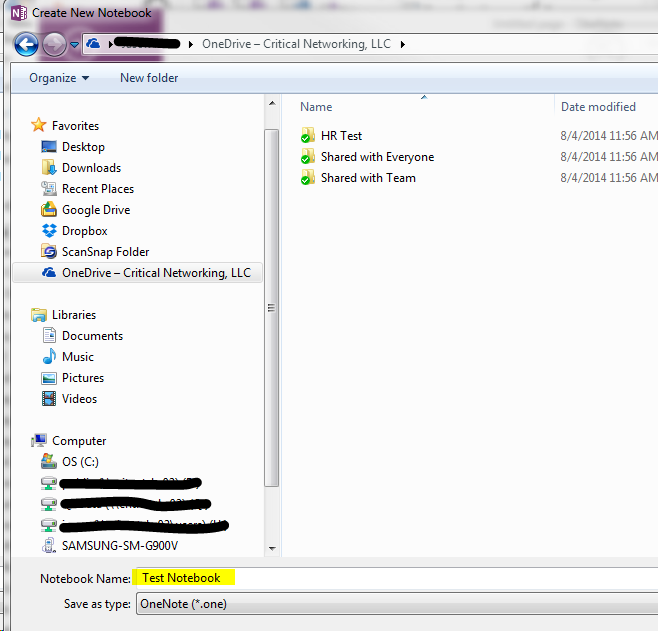 Let’s start with an example of how to create a new OneNote notebook in the cloud. 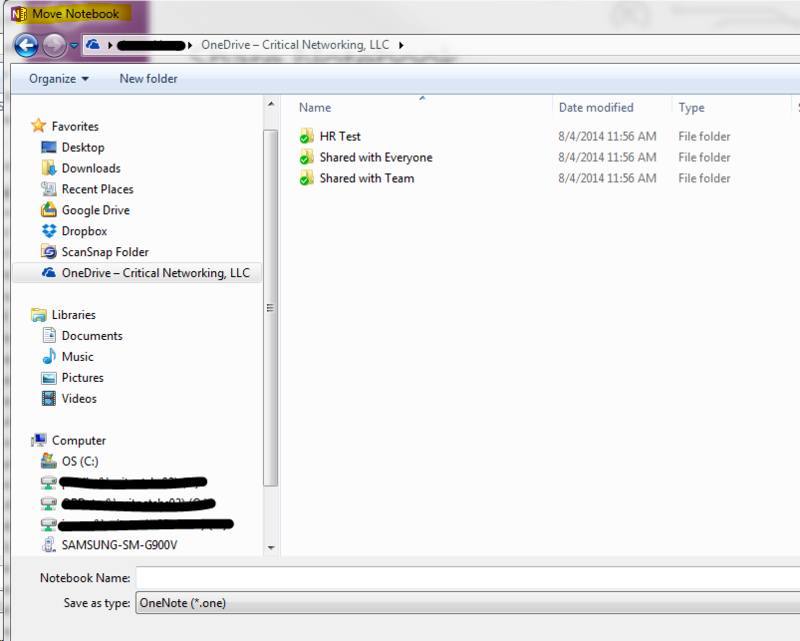 This syncing is done on a per-notebook basis, you will want to do this for each notebook you want to sync to the cloud. You can also create a new folder here to store all of your OneNote notebooks in one place. 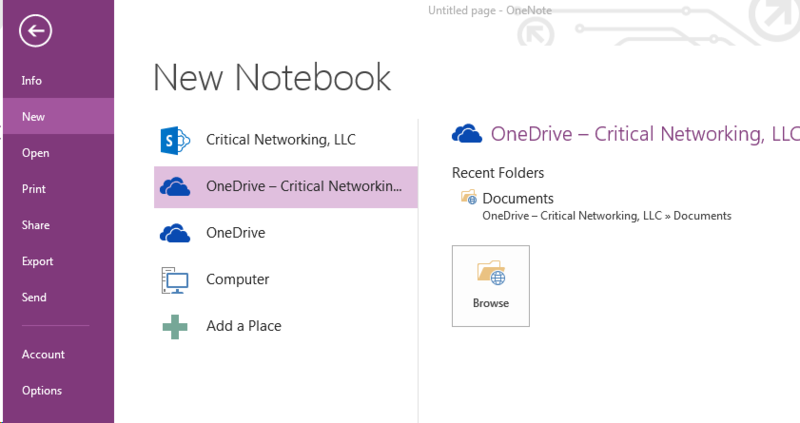 Now the notebook is created in OneDrive and synced locally. This also means that you can work in OneNote offline, and the changes will sync the next time you connect to the internet. That is great if you are looking to create a new notebook, but what if you already have one or more notebooks on your computer and want to move them to the cloud? 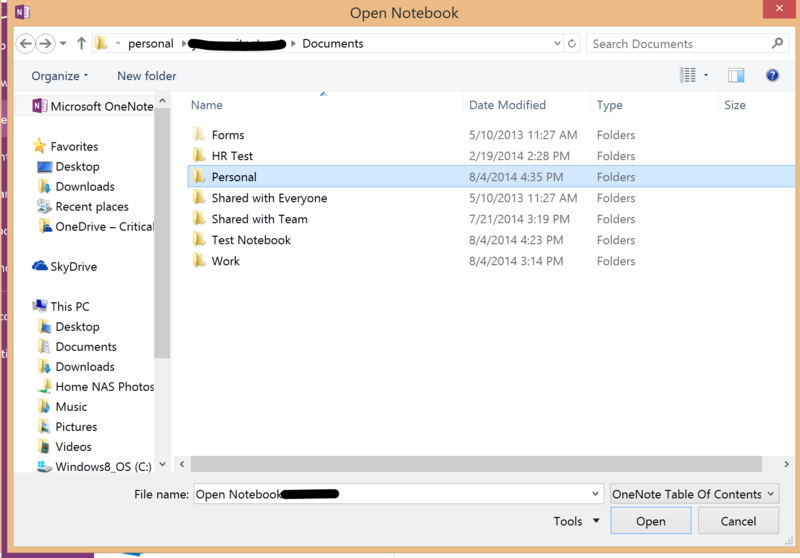 Open the existing notebook in OneNote. A similar window will open, but this time it will say “Move Notebook” at the top instead of “Create New Notebook”. Enter a notebook name and click the “Move” button. At the end, you will also have the option to share the notebook. Ok, so now your notebooks (either new or existing) are stored in the cloud and syncing. Now we want to look at how you can open your notebooks on another computer. Make sure the second device also has the latest OneNote and OneDrive for business already installed. 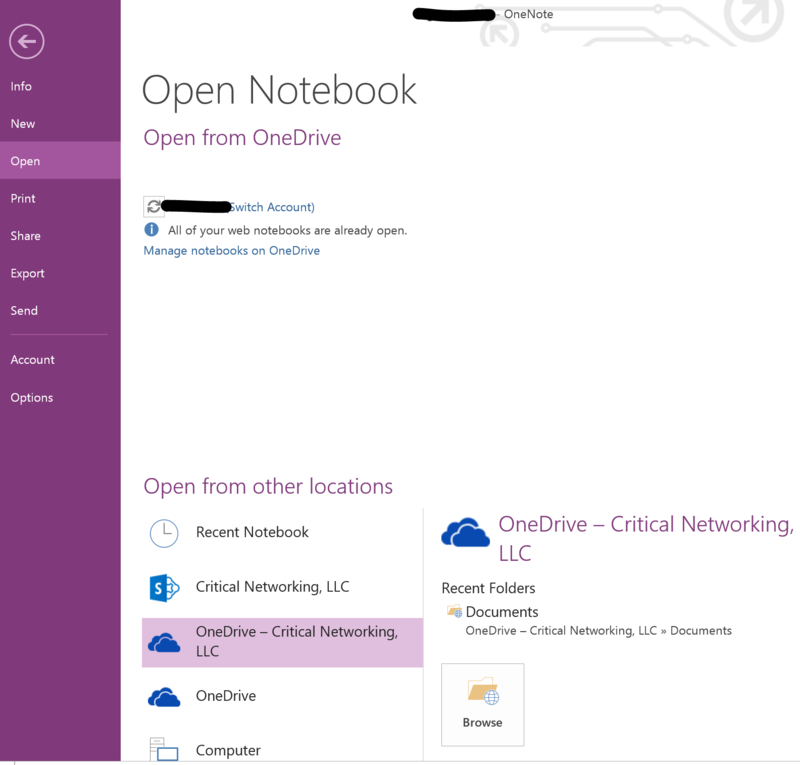 Now the second computer will open and sync the same Notebook in OneNote using OneDrive. Changes made on either machine will sync to OneDrive, so your notes will always be in sync no matter which machine you use. Thanks for reading, and I hope his has helped you understand the why and how of syncing your OneNote notebooks to the cloud.